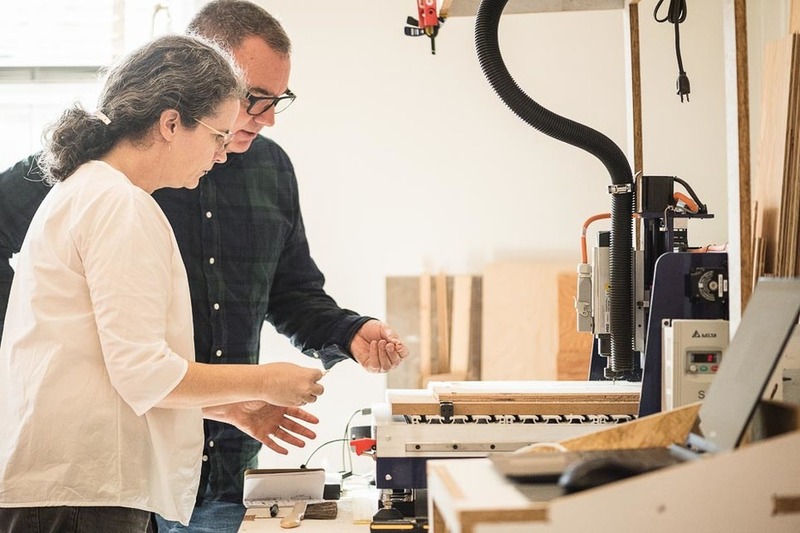 AtFab creators Anne and Gary, the designers behind the One to Several and Beside table, have been friends and collaborators since their time together at architecture school. Dissatisfied by traditional architecture practices, they joined forces to rethink how we design, produce and deliver designed objects. We caught up with the pair in their studio, following the release of their new book Design for CNC. Anne and Gary: We both met during our first semester in architecture school in New York. From a young age, we both had a flair for creative endeavors. During our three years of graduate study, we explored the city’s architecture, art, and design scene together, which later became the foundation of our collaboration. 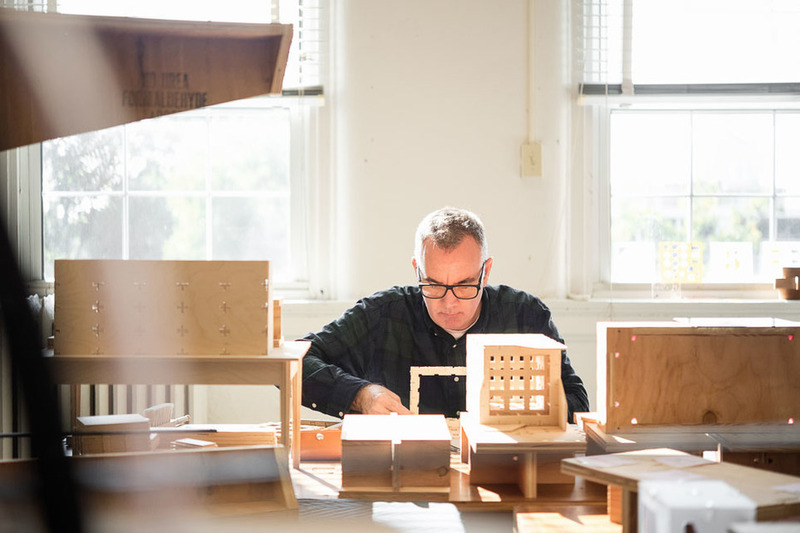 We’re now based in Lexington, Kentucky, where we serve on the University of Kentucky faculty as professors in the School of Architecture. Our region in the central US is known for producing outstanding bourbons and thoroughbreds, but it also has a rich tradition of artisan crafts and an advanced manufacturing industry. 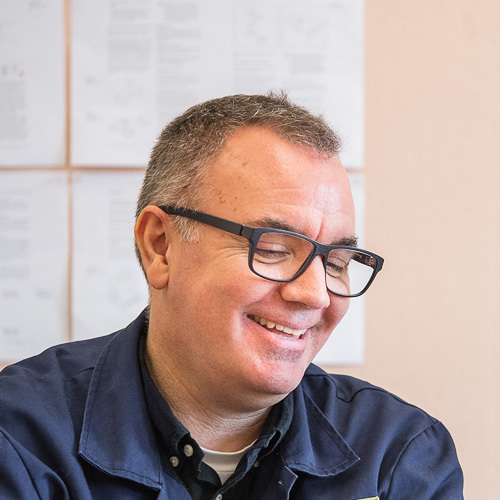 We find it uncanny that we’ve developed designs for the modern digital artisan at this intersection of traditional crafts and digital manufacturing! 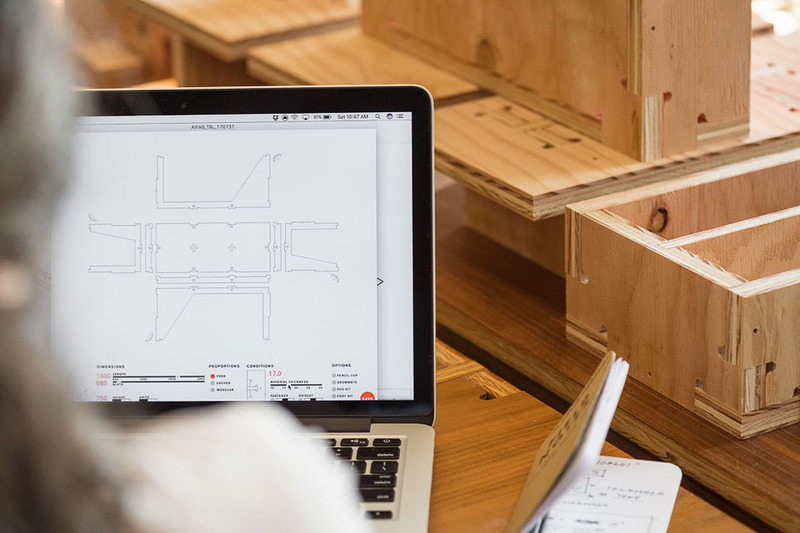 Opendesk: Tell us about the research project that led to you both founding AtFab? 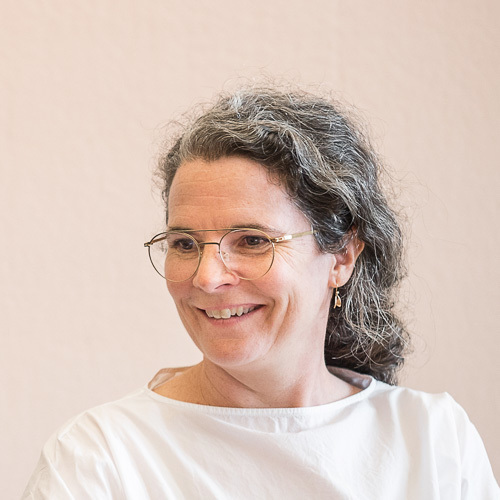 Anne and Gary: After practicing architecture for many years, we were both accustomed to having many layers of intermediaries between ourselves and the buildings we designed. This disconnect is something that frustrates many architects, and for us, we were always looking out for a project or workflow that would collapse this distance between design and making. Shortly after the economic downturn, we had an opportunity to leave our corporate jobs for academic positions that allowed us to set up research projects in design, digital fabrication, and distributed manufacturing. An early project we launched was AtFAB, allowing us to rethink how we design, produce, and deliver designed objects, and ultimately architecture. 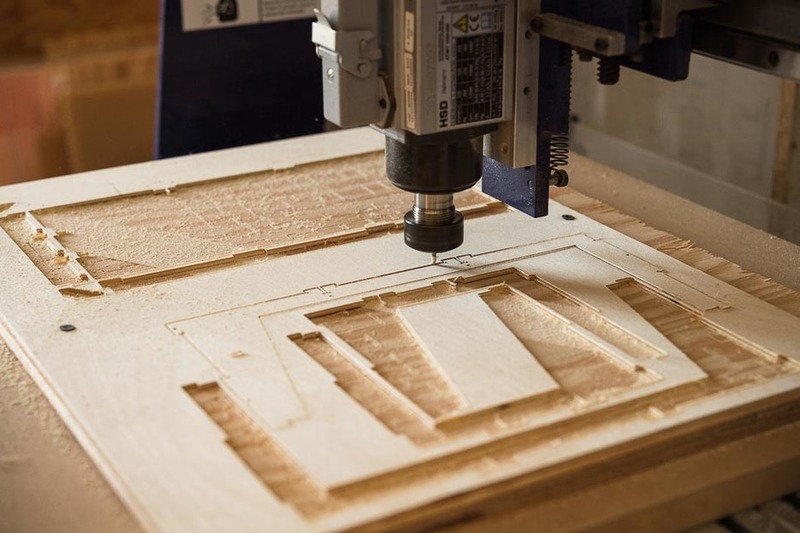 Opendesk: When did you first discover digital fabrication tools? At that time, did you realise these tools could power a whole movement when combined with the worldwide web? 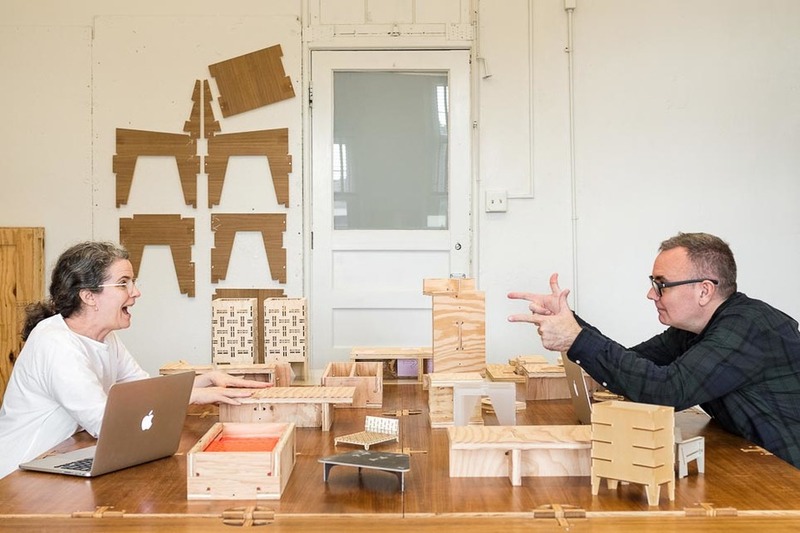 Anne and Gary: Digital fabrication, alongside computation and software, was around in the schools where we studied, in the offices where we worked, and throughout our industry. 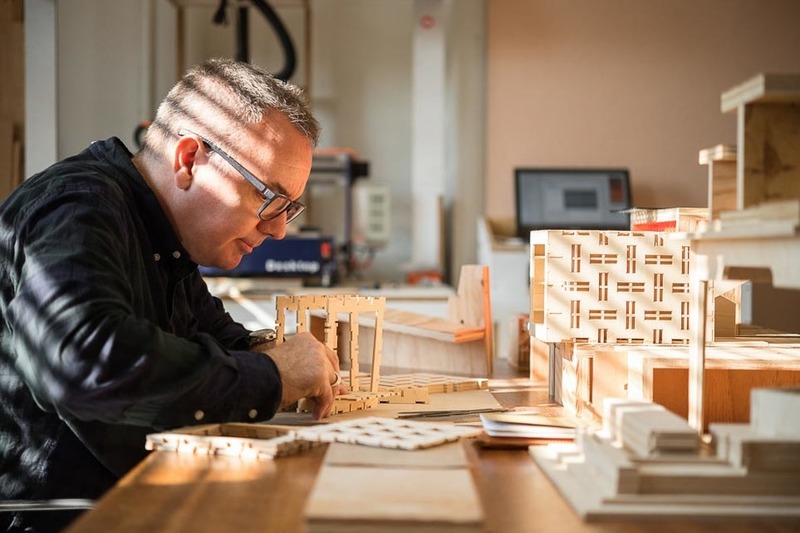 Early on, though, digital fabrication tools seemed to be exclusive to rarified projects, usually operated by inaccessible workshops in the traditional designer/contractor workflow. Gary learned about MIT Prof. Neil Gershenfeld’s research team that built a truck equipped with digital tools, capable of traveling to remote areas to digitally fabricate bicycles. That concept got us thinking about how digital tools have relevance to broader constituencies. Years later, we learned about Ponoko’s networked, distributed manufacturing service, and in fact wrote to them within weeks of their launch, to see if they could make bigger things like furniture. With Ponoko’s emergence, we realized the web, combined with digital tools, could achieve everything that Gershenfeld was aiming to do with his fab truck. Opendesk: Introduce AtFab. What did you set out to do? 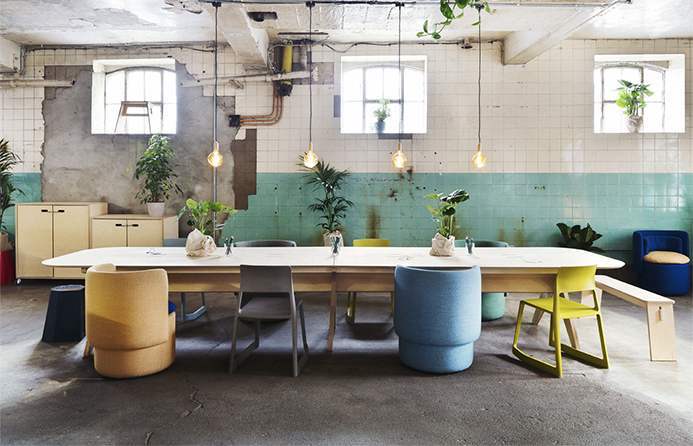 Did you simply want to share beautiful furniture with the world or was there a deeper mission to encourage re-engagement with the commons or distributed making? Anne and Gary: AtFAB really started as a mission rather than just designs for furniture. We saw the potential of digital tools, social networks, and ubiquitous material, and wanted to design in a way that brought all of those things together. We were also inspired by the industrious, self-sufficiency of DIY, the growing desire for the local and authentic, and the power of peer-to-peer economies. As it evolved, AtFAB became a way to explore how design itself might provoke an alternative to traditional consumerism. We’ve been intellectually inspired by Paul Mason’s work Postcapitalism: A Guide to our Future, and Jerry Davis’ writing about the end of the corporation. That being said, we are still designers who wanted to design something beautiful and to offer it up to the world. We used many of the design principles and techniques that we’d developed throughout our careers. 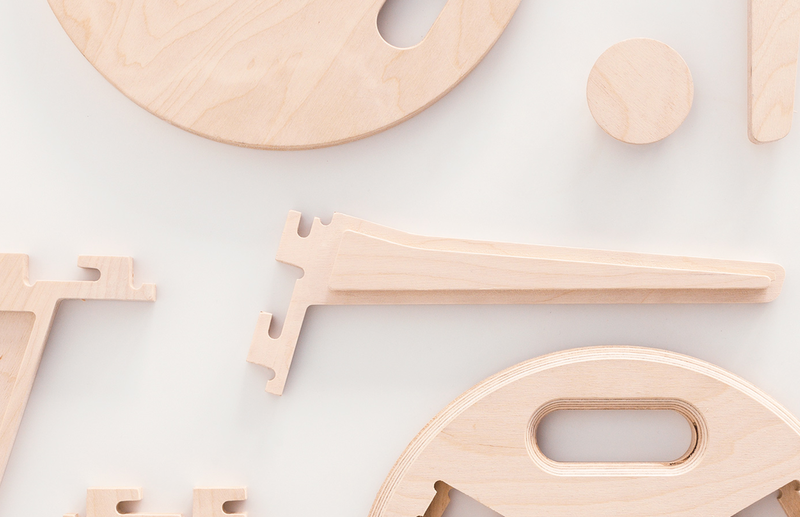 We worked to find a design language that would meaningfully express CNC milling in new ways. We labored on proportions, flushness, and joinery. We toiled over the lines and contours so that each piece reads as a volume. 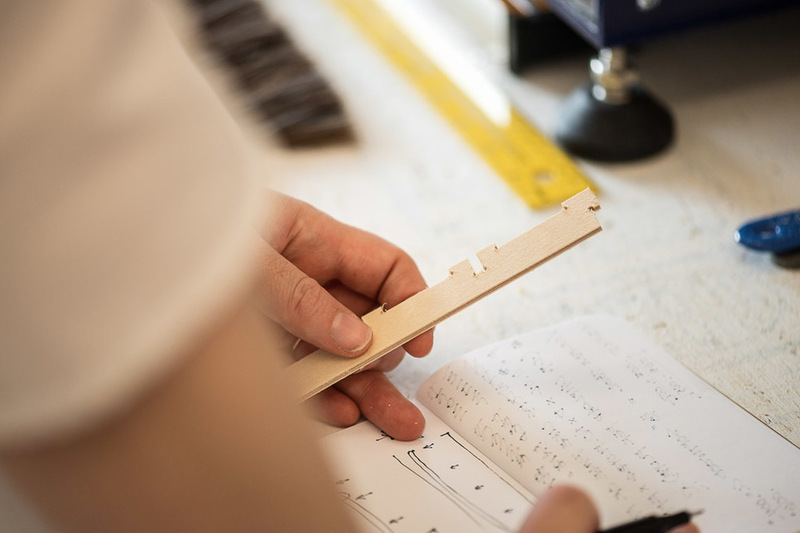 We also carefully composed tabs and slots into marquetry-like details. 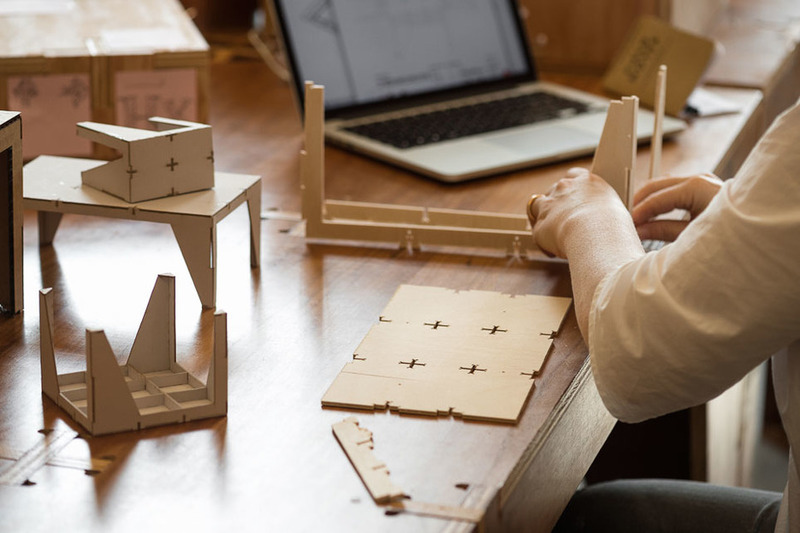 Opendesk: What is different about designing objects for distributed making, where the object could be made by thousands of people all over the world, with different skills and languages? Anne and Gary: Architecture has always been about communicating the construction of things from a distance. For us, AtFAB was an attempt to rethink how this was done. Using the information of things to drive digital tools can help everyone realize better outcomes than traditional modes of production. 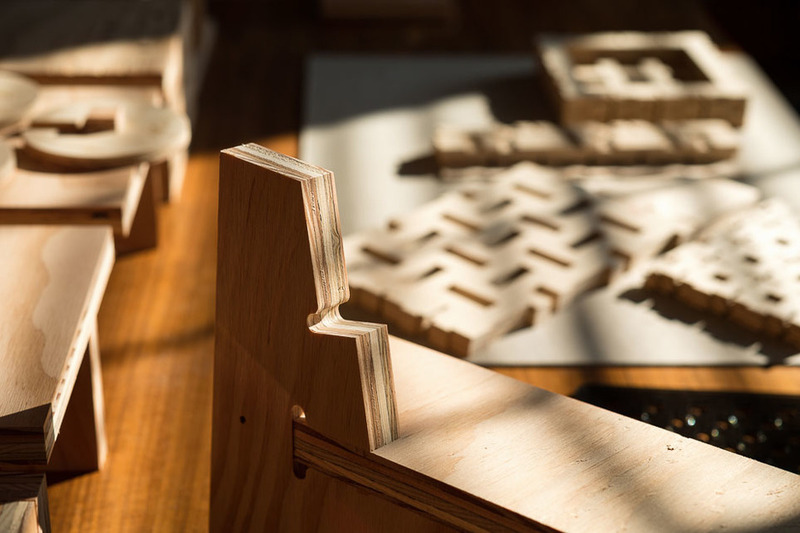 We tried to keep things as simple and intuitive as possible, so AtFAB uses only profile cuts, and the parts go together as simply as a child’s puzzle would. 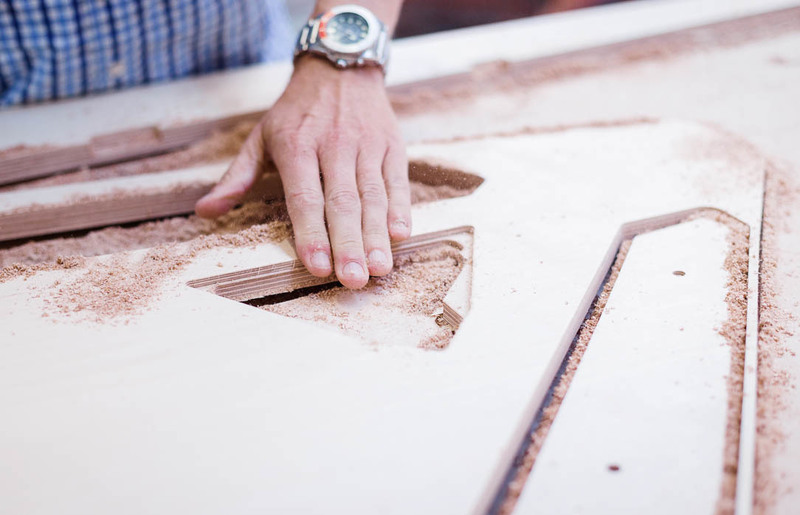 This was in part to ensure successful outcomes, but also to entice makers to modify and evolve AtFAB designs as they became more comfortable with their own digital fabrication tools. 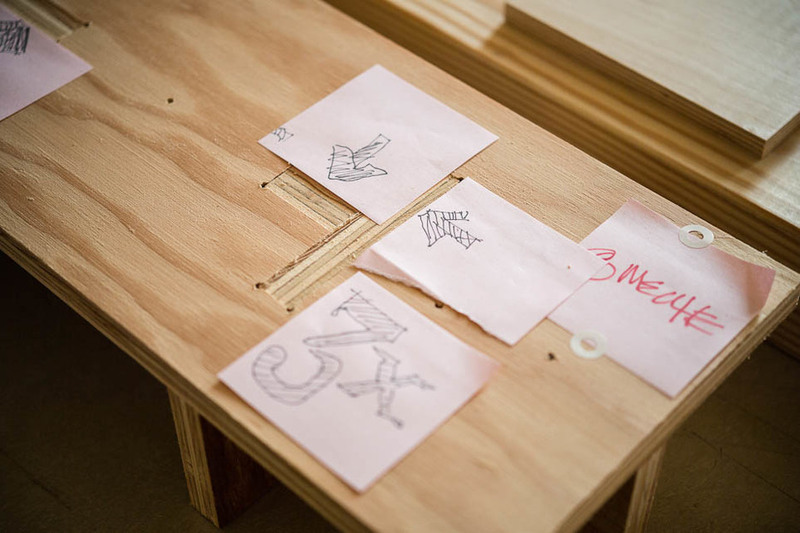 Opendesk: Who/what has inspired your design work at Atfab? Anne and Gary: Conceptually, AtFAB was inspired by the biological concept of emergence - “much coming from little” The entire range started with a small joinery detail that aggregates into larger structures like the One to Several Table. We’re inspired by the simplicity and transcendence of constraints by many Dutch architects and designers. We’re also inspired by the early work of Portuguese architect Alvaro Siza, who designed extraordinary architecture from simple, traditional building methods. We also found inspiration in the conceptual artist Sol Lewitt, whose scripted drawing installations were a model for AtFAB’s dissemination. 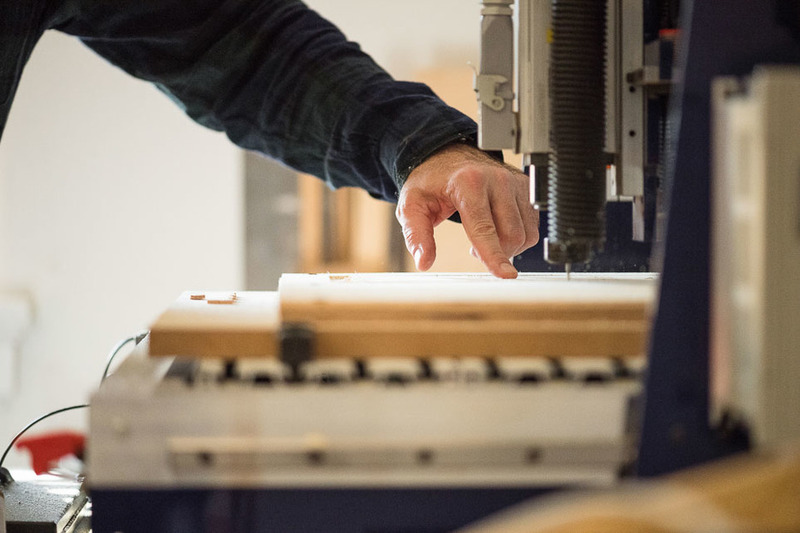 Opendesk: Along with the iconic Maker Faires, Atfab is one of the first names that spring to mind when we think of the Maker Movement. How important was this movement in the founding of Atfab? 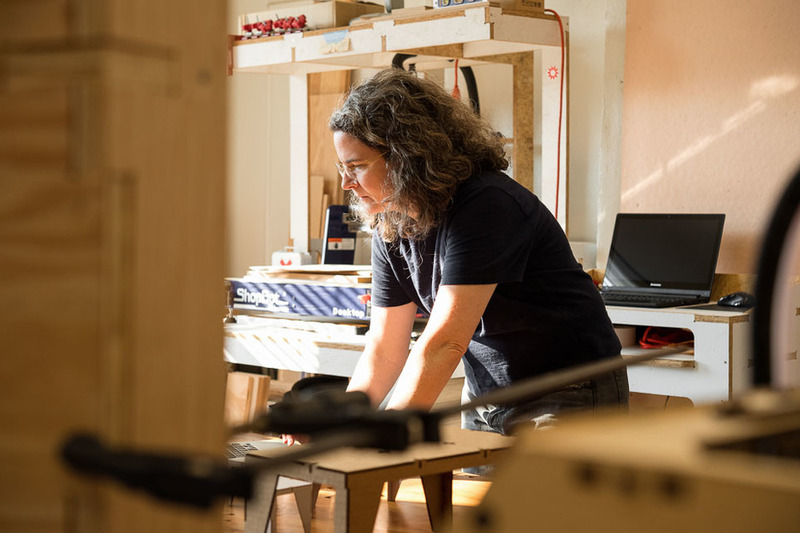 Anne and Gary: The Maker Movement embodies many things, but empowerment through the accessibility of digital making was key to AtFAB’s founding. 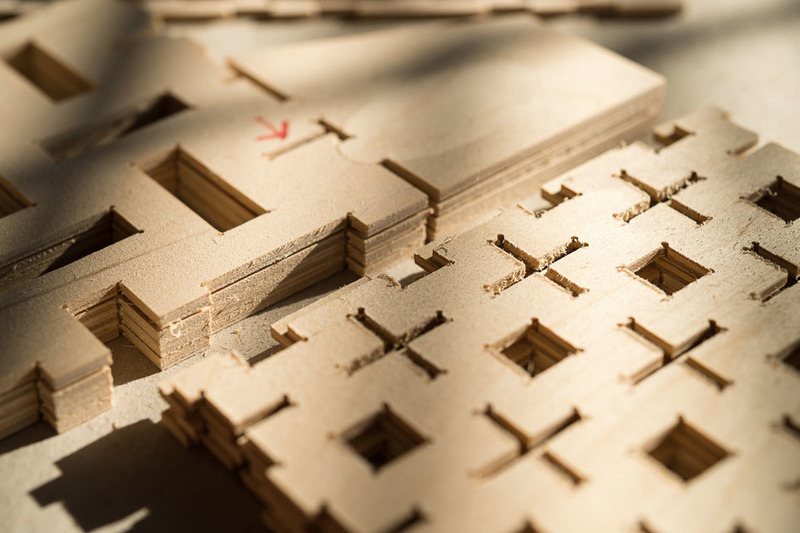 We realized early on that we were more excited by the social implications of accessible digital tools, than the latest advancements in digital fabrication technology that interests most of our peers. We’ve discovered unprecedented design challenges at the intersection of design and maker culture that are always pushing us in interesting ways. We’ve had to create easily repeatable designs, offer up designs for makers to complete, and serve a much broader constituency than we usually do. Initially, we thought that the Maker Movement might be an austerity trend that would wind down as the economy improved. But it continues to grow beyond the early adopters so that hacking, making, and crafting has solidified into our broader culture. The Maker Movement has also found new trajectories. Maker-centric STEM education is now seen as best practice, there are Maker City initiatives to incorporate making into public policy and there are more designers engaging with the Movement than there were when we started. Opendesk: Tell us about your decision to share your work under Creative Commons licenses? 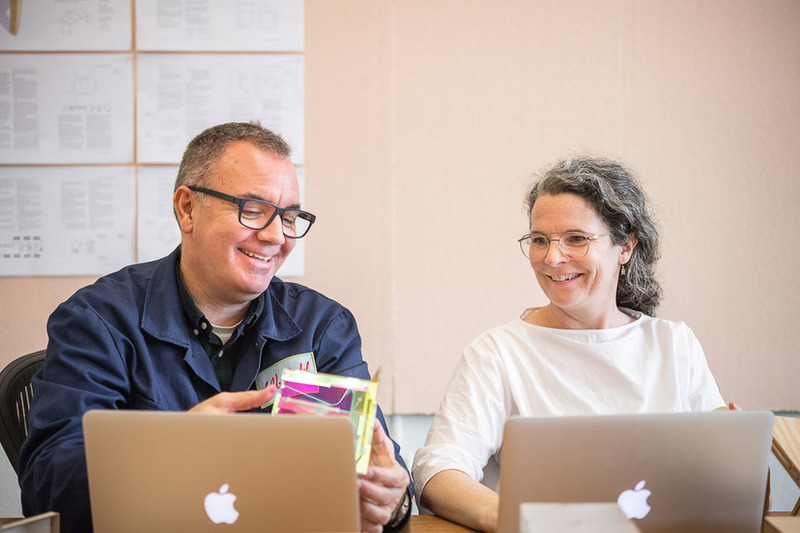 Anne and Gary: We were intrigued by Open Design and wanted to offer up our designs for others to interpret, hack, and make with local materials. We work with CC-BY-NC-SA (Creative Commons, Attribution, Non-commercial, Share-alike) licenses because they make the most sense for our objectives. Attribution and Share-Alike seem like the ideal way for designers and generations of makers to form an ongoing conversation. The Non-commercial component is critical because it enables us to share with makers and individuals while preserving our right to make a living from our design efforts. Opendesk: Cory Doctorow put it well when he said: “Recognition is one of many preconditions for artistic success”. Do you feel attribution has a greater importance in artistic endeavors (including design) than it does in Software development, where the Free Software Movement and Open Source movement were founded? It seems that software developers don’t prize attribution as much as designers do. For us, our desire for attribution seems to relate to the scope and the amount of effort we put into our work. AtFAB’s “DNA” took years to conceptualize, design, and develop. 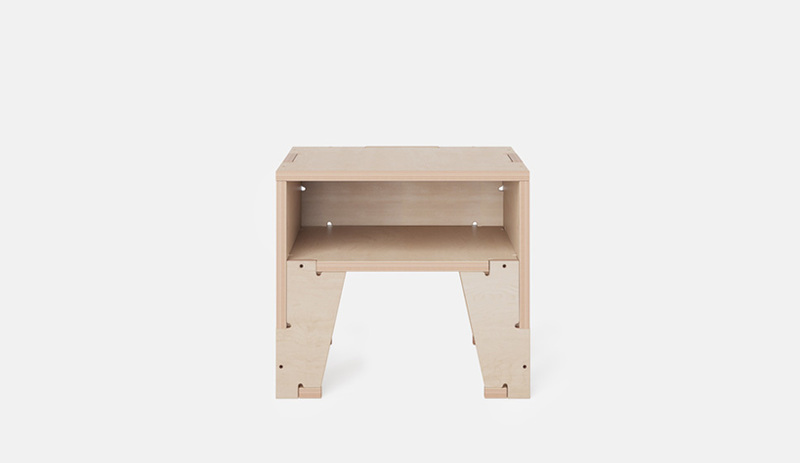 Something as simple as the Beside Table came after a year of design, development, and ongoing refinement. Being able to share our designs is critical, but so is some form of attribution. Speaking for ourselves, recognition seems less about vanity than it is to engage design discourse through our work and to celebrate cultural production in general. 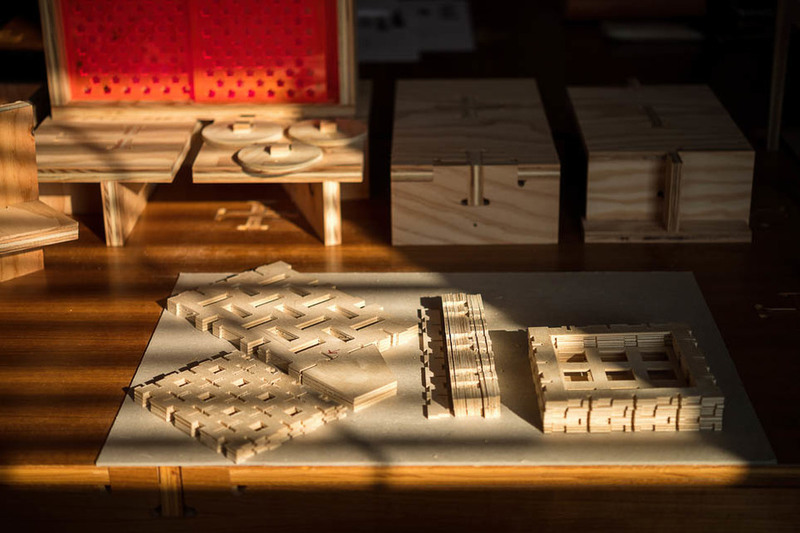 Opendesk: Do you feel designers are right to be wary of sharing their designs more openly? What are some of the most significant mental leaps a traditional designer will have to make to embrace Open Design? Anne and Gary: As designers, we’re conditioned to assert control, understand our work as “ours,” and see our designs “handed down” to a user. During AtFAB’s early development, we realised that we were doing something different. We were “offering design up” for others anywhere in the world to complete, by customizing dimensions, toolpaths, materials, details, etc. Surprisingly, we found that “offering up design” demands much more design than “handing design down,” since you’re designing a living system with open outcomes that you can’t always anticipate. It is a big mental leap for a designer to let go of control, but we have found the rewards to be worth it. Opendesk: How do you feel new business models like that of Opendesk’s can provide alternative routes to market for designers? 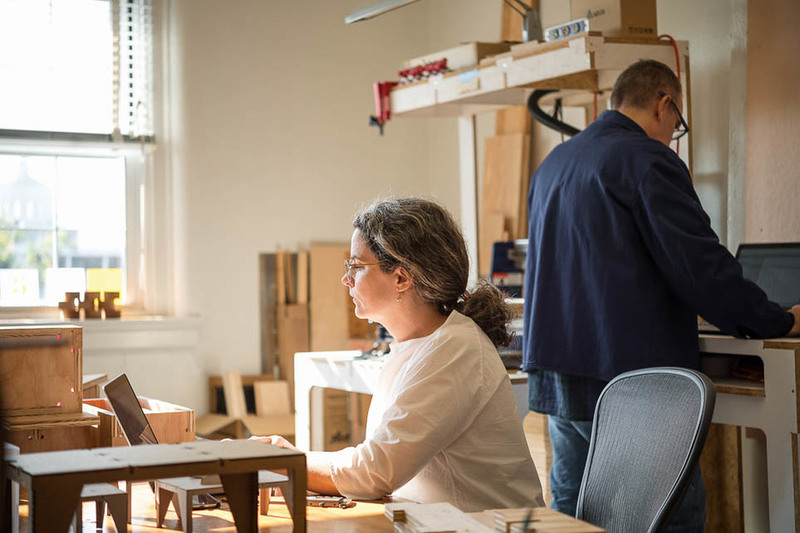 Opendesk’s model has helped us balance sharing with making a living. We can offer consumers locally fabricated designs for purchase while supporting the global community of industrious makers with free design files. Generally, it seems that makers who make a design aren’t the same individuals who would purchase a finished version of that same piece. We sell designs through Opendesk and on our own, and also have found other opportunities like bespoke pieces and other forms of consultancy. 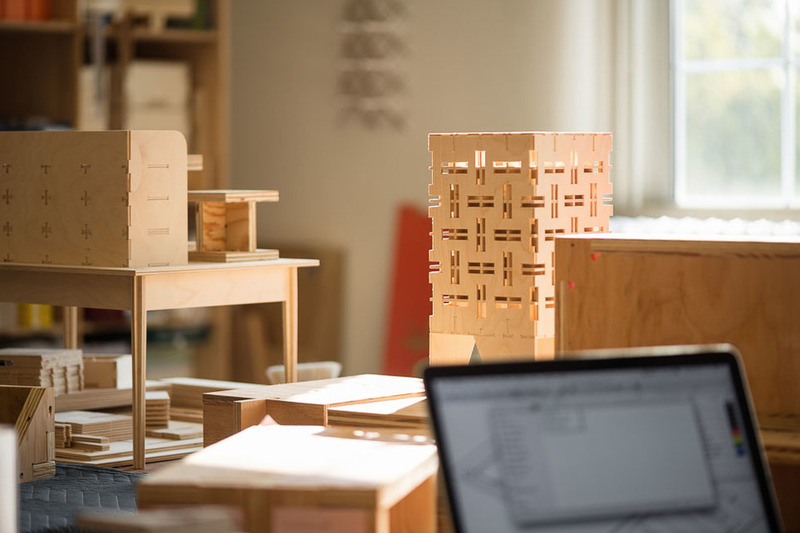 Opendesk: By approaching the internet with an “all-rights-reserved’ mentality, people often restrict access to their work before there is any interest in it. From your own experience, how has sharing your work openly brought you success? Anne and Gary: Initially, we were reticent to just give files away, but sharing has been essential to AtFAB’s development. It has allowed us to validate all of our designs, test repeatability in the wild, and engage with so many makers around the globe. Every week, we’re inspired to hear from a maker who fabricated their own version of an AtFAB design. Some rights are important. We believe designers can make a significant contribution to the commons whilst still making a living. Generosity is a form of capital. Kentucky based designer, architect, and co-creator of AtFab.